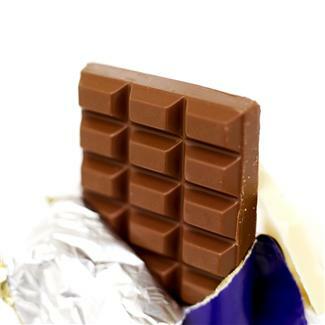 Many agree that chocolate is one of the best comfort foods there are and tear into chocolate bars on a regular basis. Moreover, the benefits of eating chocolate, while on the chocolate diet has gained a mammoth amount of press lately. As if we need a reason to indulge in this rich treat, here is three more. Just ask a random person and they may tell you the Spanish translation for chocolate is chocolate (pronounced choco-lAtE), which to many, equates to yummy in any language. Cacao or cocoa, as we commonly know it, has been around for centuries. But, when do we use the term cocao or cocoa? We use the term “cacao” when referring to the plant or its beans before processing. “Cocoa” refers to chocolate in a powdered form. Finally, we use the word “chocolate” because it refers to anything made from the beans. It’s now time to delve into the favorite food’s beneficial aspects. 1. You may already know that eating chocolate in moderation can be nutritious. What’s more, a 50 gram bar of plain chocolate contains 1.2 milligrams of iron and 45 milligrams of magnesium. Milk chocolate is a reasonable source of calcium, too, as a 50 gram bar contains 110 milligrams of the much-needed mineral. 2. If you are looking to live a lot longer, chocolate may contribute to you achieving this goal. Why? Researchers at Harvard University, studied 600 people for 60 years’ and found that those who ate modest amounts of chocolate, lived longer than those who didn’t; they concluded this is likely due to the fact that cocoa contains antioxidants called polyphenols. Antioxidants are man-made or natural substances that may prevent or delay certain types of cell damage. A polyphenol, is a kind of antioxidant characterized by the presence of several phenol functions, to whittle this information down, it is a type of chemical that may protect against some common health problems and certain effects of aging, too. 3. Do you prefer the taste of dark chocolate over other chocolate? If so, this is great, because dark chocolate is said to raise endorphin levels in the brain, which, in turn, can lower the negative effects of stress. Other researchers believe chocolate cravings are linked to serotonin, a brain chemical that makes us feel relaxed. With the aforementioned facts, you don’t have to wait until Valentine’s Day, just to eat chocolate from your sweetie. And, with the number one food craved by American women being chocolate, this is even more of a reason to head to the store to pick up this decadent, savory and irresistibly smooth treat. This entry was posted in Health, Lifestyle, Poll, Uncategorized and tagged Antioxidants, Cacao, Chocolate, Chocolate Diet, Ecuador, Harvard University, Polyphenols, Smithsonian National Museum, YouTube. Bookmark the permalink.